There are only hours left before the Global Investor Meet, ‘Happening Haryana 2016’, starts. While many in Haryana and outside thought that the event scheduled for March 7-8 would be called off post the reservation riots, Chief Minister Manohar Lal Khattar and Industries Minister Captain Abhimanyu have taken the brave decision to go on with the meet. One of the main reasons is that they don’t want Haryana to let go the plucking of some low hanging fruits. Similar strategies also came from both Central Government and RBI recently. A few days back, Dr. Raghuram Rajan plucked a fruit that was hovering just above his head for some time now. In one rapid late-night move, the RBI Governor finally allowed a bank’s real estate assets, foreign currency translation reserves, and deferred tax assets to be included while calculating tier-1 capital. While the impact of this move is somewhat difficult to calculate, and assessments by individual analysts vary, the consensus is that it will help our public sector banks by a minimum of Rs. 40,000 crore – in other words, they have to raise only 40k less in equity in the coming few years to conform to international Basel-III standards. Our public sector banks were reeling from bad debts and the consequent provisions which were locking up their capital on one side, and upsetting their valuations on the other side, thereby making further capital raising a daunting task. As always, the market had a whiff of what was coming, some 12 hours before the event. Sensex rose by 777 points – its highest single-day rise in 6 years – just before RBI announced it, which was followed up by 464 points rise on day 2, and 364 points rise on the third day! Was it a big or difficult achievement by Dr. Rajan? You bet not! Banks always had considerable real estate assets. Banks always had deferred tax assets. And at least the big banks like SBI, BoB, & ICICI, always had significant foreign currency translation reserves. So, what was preventing RBI from plucking these low hanging fruits? The specialists at RBI are sure to have their own technical reasons, but commonsense suggests that it could have been done long long back, without banks and the investors going through a prolonged turmoil! What is at play here? Obviously, the issue is of the ‘expert’ being perplexed by the whole task at hand, and staring at the topmost fruits, wondering how they can be ever plucked! Instead, a non-expert, who doesn’t know tree climbing or not having expert tools, would have decided to pluck the low hanging fruits first! The experts had to be pressed against the wall by the alarming circumstances for them to see that, after all, there are many low hanging fruits. Exactly the same phenomenon was at work during Modi/Jaitley combine’s third budget a day before RBI plucked their easy fruit. The duo had in their last two budgets, relied more on sophisticated strategies like 2014’s innovation of Smart Cities, and 2015’s novelty of reducing the corporate tax. 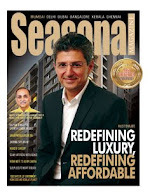 The idea behind was genuine – of kick-starting growth – but flawed. It took one more year, a few election losses at the state level, and erosion of the entire stock market gains post Modi’s coming to power, to convince them to look for low-hanging fruits if any. And the pragmatic leaders they are, they finally realized not only what could be wrong in their sophisticated strategies, but what could be the solution too. While promoting smart cities, promoting defense manufacturing, and cutting corporate tax all sound good on paper, they didn’t deliver as much as expected, especially in the short-term. Why? It is a no-brainer as Indian workforce is still dominated by agriculture which employs 50 Indians out of 100. If this is unbelievable to you, further proof comes from the fact that India ranks second in the world in farm output. Same goes with the country’s rural/urban divide. 68 Indians out of 100 are still living in rural areas, despite all the rush you find in your great city. So, what happens when you ignore 50% to 68% of the people, and focus on urban development like smart cities or on sectors like services that employ only 27% Indians or industry that employs even less at around 22%? If you thought the only effect is that nearly 70% people would be left disgruntled, nothing could be more wrong. Whether disgruntled or not, and whether it is fair or not fair, the real effect is that when we ignored them, their plight became worse, their consumption dipped, and this is the most important part – it adversely affected the growth of both industry and services that the government was trying to help in the 2014 and 2015 budgets! Anyway wisdom has finally arrived in the 2016 budget. Modi and Jaitley went in for the kill this time by plucking many low-hanging fruits that were always there – like record agricultural credit, record allocation to MGNREGA, legitimacy to Aadhaar, and a momentous push to reach bijli, sadak, & pani to the country’s villages. And contrary to the widely held belief, this so-called pro-poor budget has finally ended up in getting market’s applause too. Market as always has the sixth-sense to feel a good thing when it starts emerging. This is not to say that promoting industries or the service sector is not essential. Rather, it is the need of the day. Everyone knows that India needs to create more jobs in industry & services, that to sustain this growth India needs urbanization, and to drive both of these, India needs fresh investments – both foreign and domestic – on an unprecedented scale. But at what pace? Industrialization and urbanization should happen at an optimum pace that is sustainable in the long run. It shouldn’t be too slow like in India, or too fast like in China. Low hanging fruits are everywhere. Not just in banking or agriculture or rural growth. It is there in industry and even in attracting investments that drive industrial growth. An example comes from Haryana which is going to host a Global Investor Summit soon. 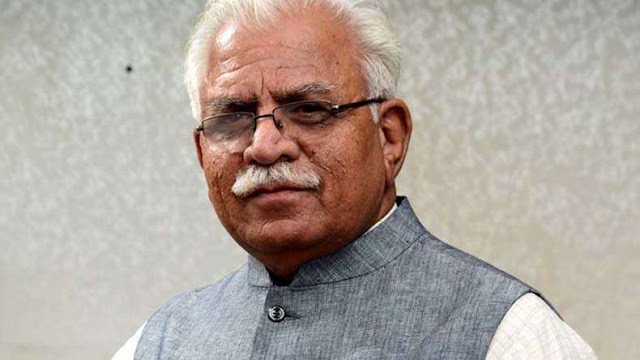 While the recent reservation riots in the state led many people to wonder whether Haryana can pull it off, Chief Minister Manohar Lal Khattar is going ahead with ‘Happening Haryana 2016’ against all odds. Why? Because the leader in him knows the low hanging fruits that Haryana can pluck, come what may. For one, Haryana has been home to the largest contingent of Japanese companies in India, including some of the biggest names like Suzuki, Honda, Yamaha, Panasonic, Mitsubishi, Yokohama, and many more. Post riots, while all were keenly watching CM’s move, he is known to have got a call from the planned Japanese contingent, according to Captain Abhimanyu, the Industries Minister. The Japanese told the CM that they will surely come if the event is staged as planned. And the CM and Industries Minister know that if the discerning Japanese investors come, then everyone else too will be coming. They are not letting go this chance to jumpstart employment in the state, especially when the recent social unrest was about jobs. Like PM, FM, this CM, his Industries Minister, and the RBI Governor, let all our leaders learn to pluck the low-hanging fruits first. Only that can make a world of difference in these challenging times.